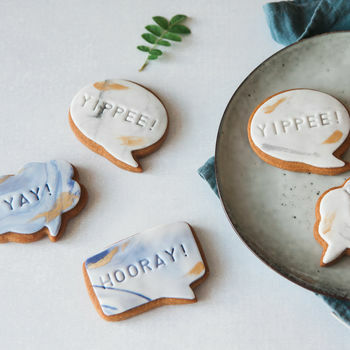 A stylish way to congratulate a friend, these biscuits send them happy words of congratulations! 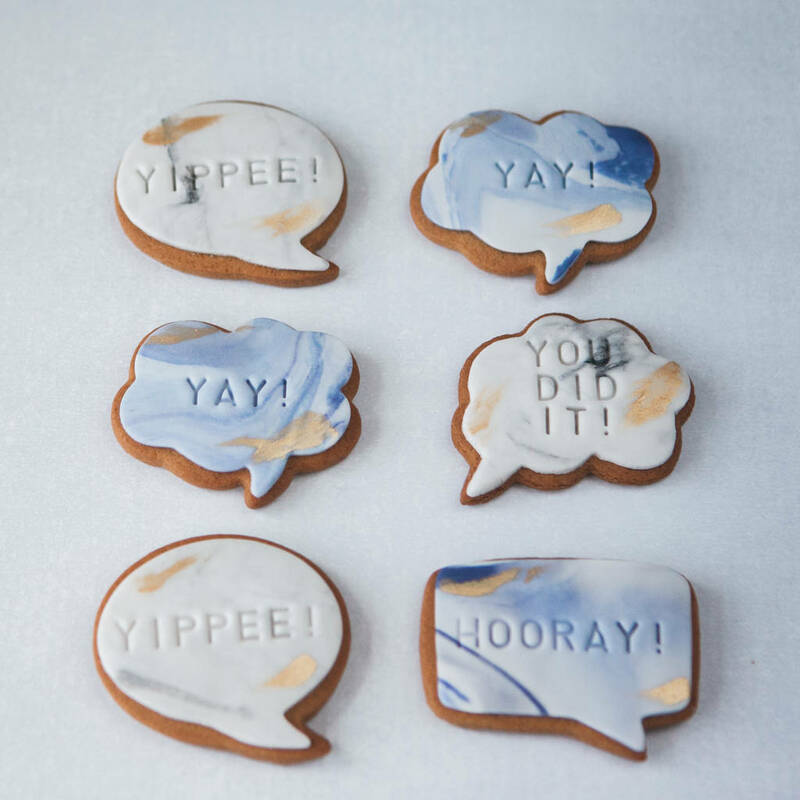 Includes six delicious vanilla biscuits, iced with marble icing and hand painted with edible gold. 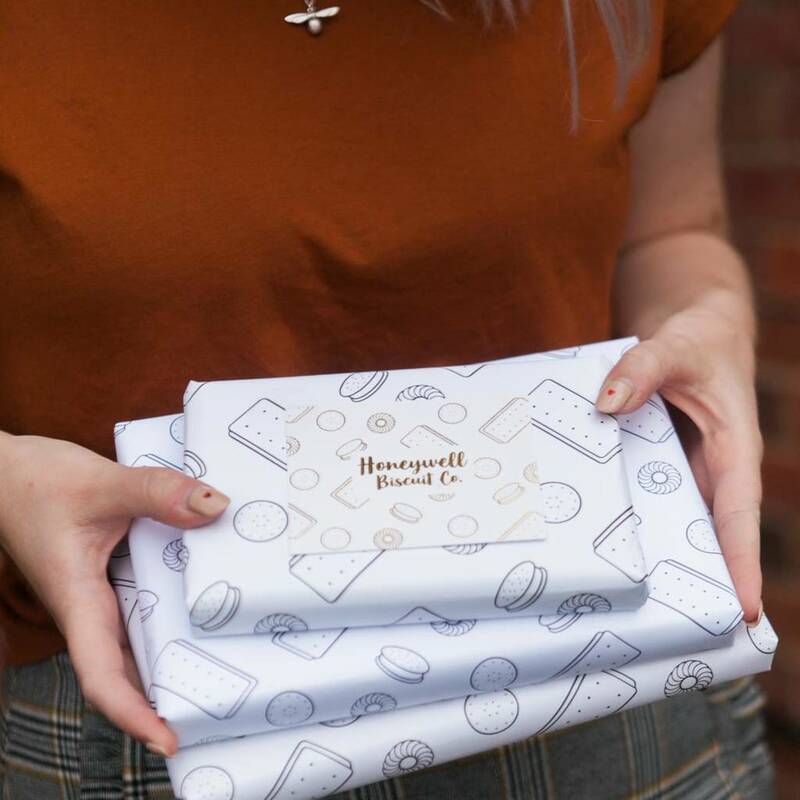 The biscuits are presented in a gift box, and can be delivered straight to your loved one's door. Icing: Icing Sugar, egg white, glycerine, lemon juice, colourings. 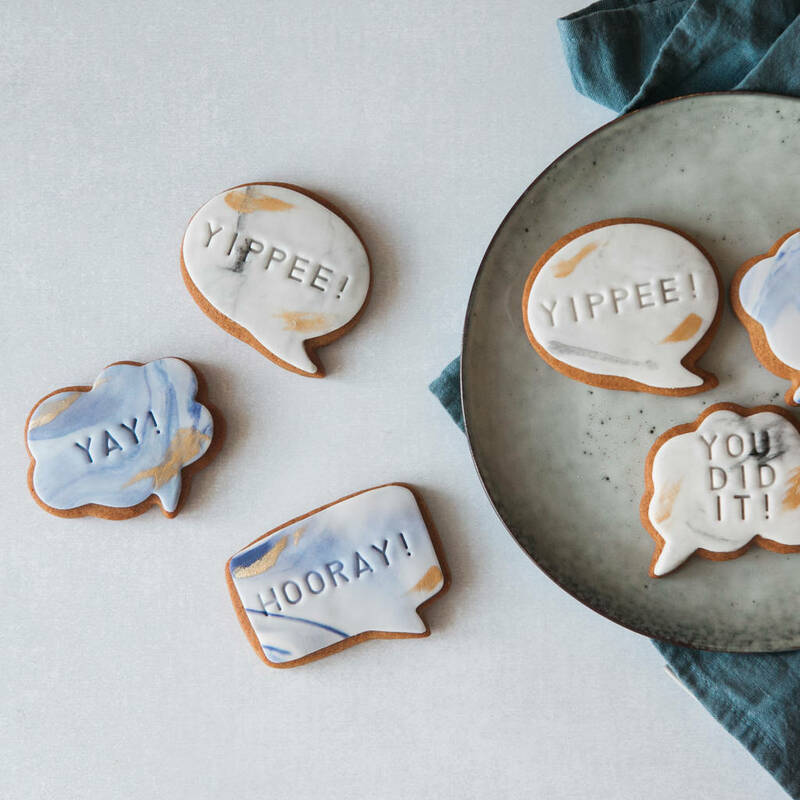 Fondant Icing: glucose syrup, vegetable or palm oil, emulsifier E471 or mono-and diglycerides of fatty acids, stabiliser E413 or xanthan gum and cellulose, acidity regulators E260, E262, preservative potassium sorbate and natural flavouring.